García-Pabón, with the WSU Extension Community and Economic Development Program in Everett, recently won the 2018 Excellence in Extension and Public Outreach Award from the Rural Sociological Society. EVERETT, Wash. – For more than a decade, WSU Extension educator José García-Pabón has helped Washington’s growing Latino community find success as entrepreneurs, learners and leaders. With WSU Extension, he works to help underserved communities. Supporting small business and economic development, García-Pabón provides training sessions on sustainable farming practices for small farmers and immigrant growers, and shares leadership training with Latino and Latina college students, women of color and Latino entrepreneurs. García-Pabón also gives culturally appropriate training to colleagues, agencies and professional organizations on working with Latino communities, helping build WSU Extension connections statewide. 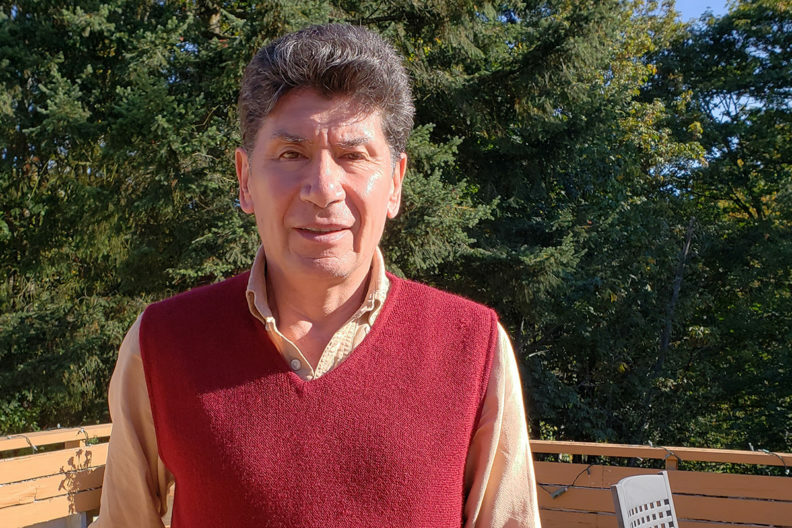 This fall, he will help launch extension’s sixth Latino/Latina Leadership Initiative, academy in partnership with the Latino Educational Training Institute and three community colleges in Snohomish and Skagit Counties.